TS Hendrik and I, Sebastian Black, have different opinions about the (great/sucky) director James Cameron. I like him, TS really, really doesn’t. So we have decided to debate the point for your edification, enjoyment, and ultimately your complete lack of respect for one of us. In this post, Part 1, I’ll make three points in Cameron’s favor, and TS will (attempt) to refute me. In Part 2 we’ll flip it around the other way. Alright, let’s get started. He gives us great entertainment. 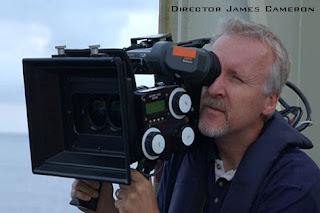 When James Cameron is willing to pay $200 million or more to make a movie, it’s clear that he wants to put on a great show. That’s being pro-audience. He’s not going to do a half-effort job, and demand ten bucks for mediocre. Thing is, not many other directors can do it. Two recent examples: 2012 (Budget = $200 million and people hated it.) John Carter (Budget = $300 million and only made $66 million in the US.) And there are many more examples. Firstly I loved 2012 (which by the way worldwide made like 600 million, so I wouldn't say people hated it). I thought it was hilariously bad. Second, let's talk the real price of say Avatar. Because one can't forget that the listed budget never includes the price of advertising. Usually a big blockbuster film you can expect that you roughly split the budget of a movie in half and that's about what they'll also spend on advertising. So a 200 million dollar film, would really be 300. In the case of Avatar, even though Cameron refused to admit to the actual budget there were many sources inside at the time that said with advertising, the film's budget was actually somewhere around 500-600 million. Let's not forget that the initial buzz on the film was bad. You spend enough money you change anyone's opinion. I will say that Cameron is a gambler, and a savvy business man. The film under normal circumstances would have been a hard sell. He invested enough in it to make it seem like an event. So yeah, congratulations to him on knowing how to market a film. I said from the first trailer of John Carter that they weren't selling it right. Then again let's say you take a film like District 9 which cost 30 million(ish), but delivered effects that were outstanding and told a story that was fantastic and rooted in a man's experience. A bloated budget doesn't equal quality as you say, and string budget films prove that every year. And as far as the old argument as to how well a film does in theaters relating to quality... it just doesn't fly either. Art can't be equated to hype, spin, and dollar signs. Every year like millions of others, I watch It's a Wonderful Life. It's the quintessential holiday film. People adore it. Yet when it was released to theaters, it bombed, not even recouping it's (back then) huge budget. Just wanted to cover the backside of the argument too. Cameron pushes technology forward in the making of almost all his films. The CGI technology he created for the Abyss, impressed Spielberg so much that, for Jurassic Park, he ditched half of the dinosaur animatronics he was going to use, using Cameron’s tech instead. The whole CGI explosion in movies can be traced back to James. With Avatar he invented new technologies to do 3D the way 3D should be done. It’s not his fault that no one has done it well since. You can easily look up many of his other advances. Yes, yes he does push tech. But do you really want to hang your hat on CGI? You mentioned Jurassic Park. I rewatched that recently and was once again amazed at how life like and real the dinosaurs look on the animatronic closeups when compared to the Crap Generated Imagery (CGI). Everyone commented on how real Avatar looked and how fantastic the 3D was, but of course it was, it was taking something alien, with no point of reference to say 'that looks fake'. Which is not to downplay the effects. Cameron is a master manipulator. But I'll take a Spielberg helmed film over a Cameron movie any day. Because special effects are supposed to be something that supports a story, not props it up. And yeah, as someone who can't see 3D in films, I suppose that does mean I'm stuck with the story. In the case of Avatar something that was seemingly ripped from the pages of better told books and films. Mr. Cameron is the epitome of “big screen” because it matters where you see his movies. Many other directors’ films aren’t much different when they go to DVD, but because of his attention to detail, you want to see his movies while they’re in theaters. It’s a different experience, and it gets people to go to the theater, which is what you want movies to do, by the way. Is it? Because I always envisioned the movies as a place to enjoy cinema, regardless of whether or not it's an 'experience'. Cameron's films are sold on special effects and his name and yes that they're an event. They're not some carefully crafted, nuanced, blood, sweat, and cellulose They're like the pretty but shallow girl that doesn't care about you. And with the way of piracy and online streaming, theaters have been kicked in the pants. When people do actively go to a theater and lay down money, they're in fact voting for what they want more of. Which means that you'll get heartless big budget films, and you'll get cheaply made films that the studios won't lose money on. Those dreaming of carving their names in the pantheon of cinema, will find themselves struggling more so today then they would have years back. As less revenue comes from films, the studios more and more hedge their bets. If all you want to enjoy in theaters are loud, gimmicky movies, or cheaply made fair like found footage films, then your argument is perfectly valid. Me, sure, I enjoy those as well, I'm not denying it. But rather than spend money on multiple viewings of a film like Avatar (which people did like crazy), I'd prefer to shell out the cash to something just as deserving. And no, I'm not laying the blame at his feet. Piracy and the ability to watch things anywhere have really been the big blow. But if that's where we are, and the majority of people are just going to go see a movie based on it being an 'event film', and just steal the rest because they consider them of lesser value than all we're doing is continually devaluing art in favor of a handful of popcorn films. San Dimas High School Football Rules! Can't disrespect TS when he ends with that line! That said, if I want the best director for a well-told event film that will stick with me, I'm picking Cameron every time. Any time I feel like I'm going long winded it seems like a good way to break off. haha. TS Hendrik's points are well argued, and I agree with them for the most part. But despite that I still really like James Cameron films. Extremes are always more fun. But yeah, TS and I only get dogmatic about important things, like whether a wok is a pan or a pot. Not about things like Cameron. Wow! You guys are deep. I don't expect nearly as much as either of you two, that's pretty clear. CGI or not, a movie has to have good dialogue for me to like it. I'm all about the dialogue. In normal movies that is. Avatar was more like Woodstock for me. It was a happening... It was so epic in what it did, that I don't even remember much dialogue. The same for Jurassic Park. I gotta agree with TS. Cameron is just off his rocker lately. I say his stuff in the 80's is superb. I mean I just did a whole post on how much I love the original Terminator. Cameron is a creative genius with his pioneering of special effects and 3D and what not, but that sometimes overshadows his actual storytelling/film making abilities. Terminator had no budget and ruled. Avatar cost more than some 3rd world countries are valued at and was horrible. End of rant. This is great. It sounds like my brother and I bickering about Avatar. He loves and I hate it. I gotta side with Sebastian, but TS makes some really, really good arguments. Bannerizer made it easy for you to promote ClickBank products by banners, simply visit Bannerizer, and grab the banner codes for your chosen ClickBank products or use the Universal ClickBank Banner Rotator Tool to promote all of the ClickBank products.